Cartas Celestes No. 10 "The Constellations of the Mystical Animals"
Cartas Celestes No. 12 "The Sky of Nicholas Roerich"
"The opening GRB090423, a musical depiction of a supernova 13 billion light years from the earth, was played by Mr. Scopel with harrowing effect, from the rumbling of the unstable stars to the brilliant explosion of light." Composer Almeida Prado's Cartas Celestes paints a picture of constellations in the Brazilian night sky and how they change based upon the season. These series of compositions paints an ominous and brilliant soundscape for audiences. 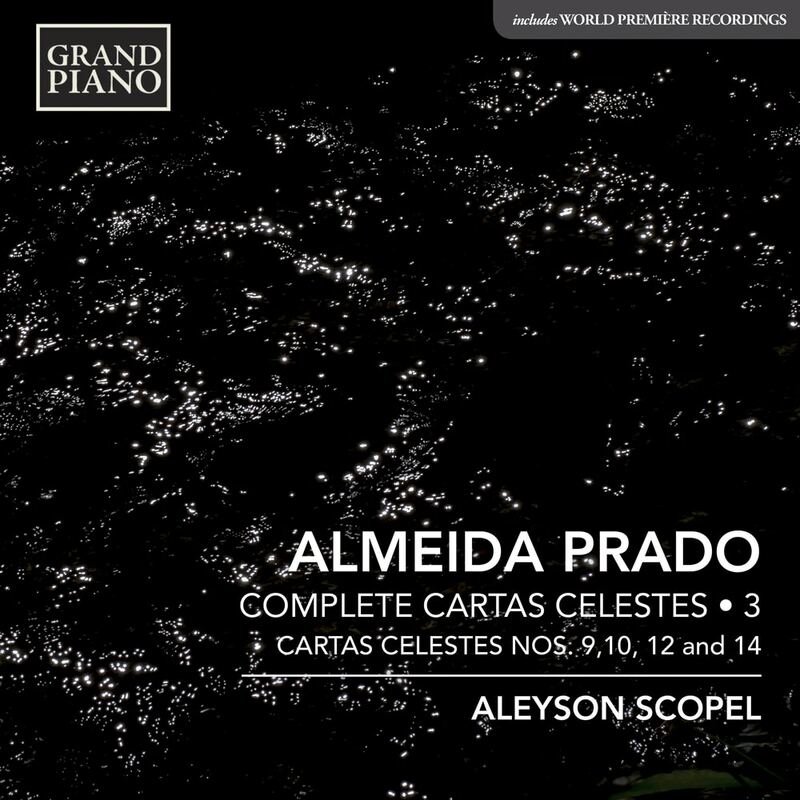 The young and masterful Brazilian pianist Aleyson Scopel sensitively delivers these compositions to audiences with passion.